Cover of Vanity Fair's July 2012 issue. This has been a busy month for news in the Stephanie Lazarus case. 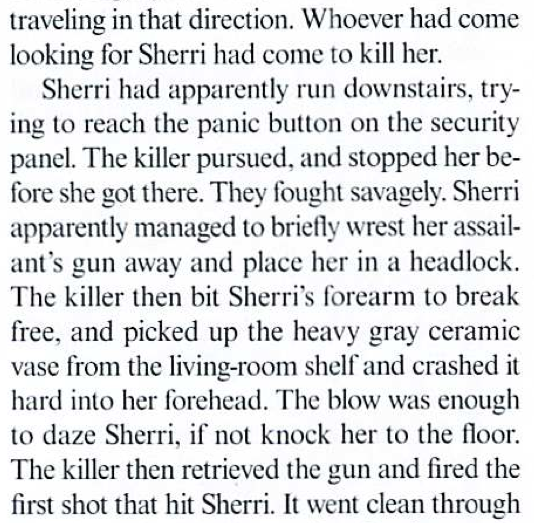 First, Mark Bowden’s long rumored article on the Lazarus case was published in the July issue of Vanity Fair. The full article went up on VanityFair.com on June 14th. 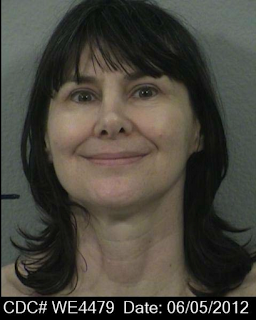 On June 2oth, I obtained Stephanie's prison booking photo. Later that same day, I posted Part I of my review of Bowden's Vanity Fair article, in which I set the record straight on numerous factual errors. 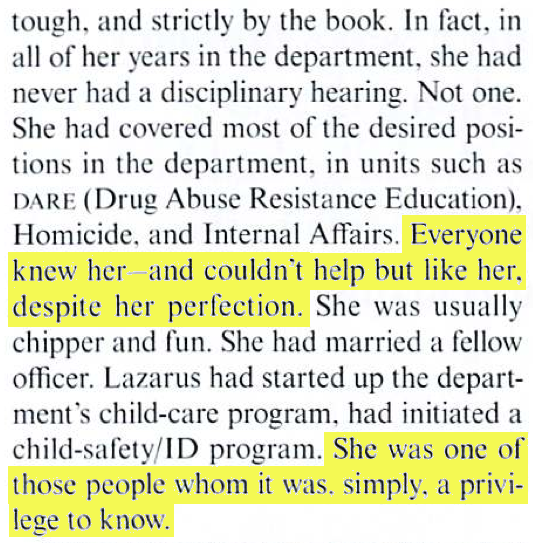 Reading the Vanity Fair article, I had to wonder about some of Bowden's more subjective descriptions of Stephanie Lazarus. "You've heard she was a police officer, she was well liked by her family and friends. That's it. You haven't heard anything about the defendant that makes her exceptional in any way. You have the defendant's personnel file. It's been marked in evidence, introduced by the defense. Look at it. Look at her commendations. What are they? Does it say anywhere in there, 'Oh, Stephanie Lazarus caught a serial killer'? No. 'Solved a murder case?' No. 'Stephanie Lazarus helped out with a barbecue. Stephanie Lazarus helped out with a golf tournament.' 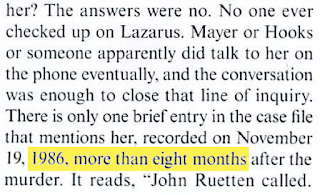 I don't want to be cruel, but at best she was a B, nothing exceptional..."
My question is, who did Bowden speak to that described Stephanie Lazarus in this way? The article doesn’t say. 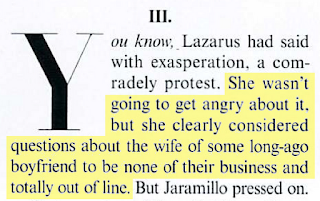 How did Bowden get inside Stephanie Lazarus’ head? Is it possible he scored an interview with Stephanie? The article leaves the impression he did, but it doesn’t say either way. I for one, would love to know. The Van Nuys Homicide Unit. Unit Supervisor Det. Rob Bub, Det. James Nuttall. I finally got around to hanging my special surprise up on my living room wall today. What you are looking at is a photo of a special gift that was hand delivered to me on Friday afternoon from the Van Nuys Homicide Unit (VNHU, aka "The Cowboys"). I apologize for the poor quality of the image. The gift was too big to fit on my scanner so I had to try to take a photo of it to show you. Here are the personal messages the detectives wrote me. Thank you for the great coverage of the case. Thank you for all your help on this case. Thank you Betsy -- for your tireless effort and true dedication to the Lazarus Case. Thanks Betsy. You were the conduit for information on the case! We appreciate your efforts. Words cannot express how deeply touched and moved I was by this gift. It brought home for me how much the VNHU appreciated my trial reporting efforts. This gift will hang in a very prominent place in my home. Thank you, thank you Cowboys. 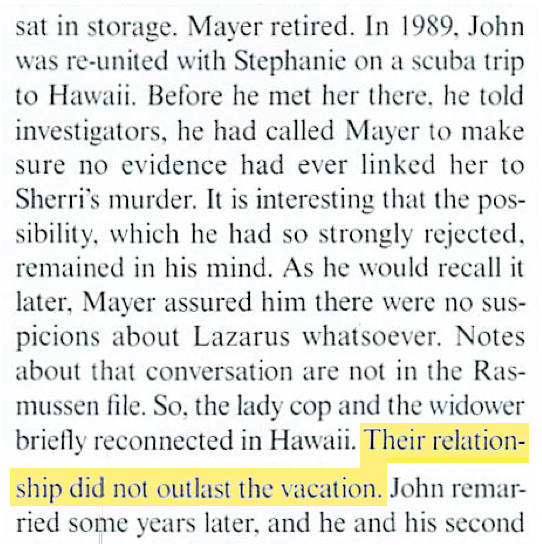 UPDATE: On June 24th, 2012, Matthew McGough won two awards from the Los Angeles Press Club for his article The Lazarus File, that appeared in the June 2011 issue of The Atlantic. I confess I’m a long time reader of Vanity Fair. I’ve always considered it a quality magazine with experienced, talented investigative journalists. I would wait with anticipation when the next issue came out just to read Dominick Dunne’s coverage of the latest high profile trial he was attending. 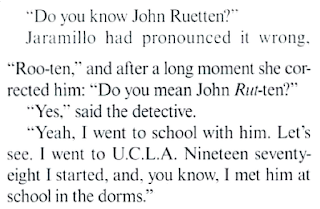 One of the things I learned sitting next to him for many months in the first Phil Spector trial was getting the story right. I remember the disappointed expression Dominick had on his face when he told me he wouldn’t be at court the next day because he had to spend time with his editor and fact checker before his next article went to press. Although he would miss a day of court, Dominick knew how important it was to accurately source his material and get the facts straight. 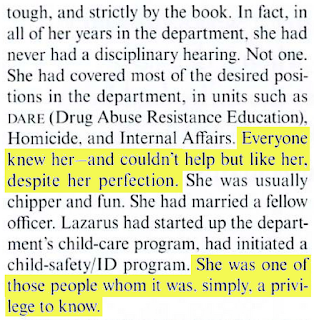 So when I finally got a copy of the July 2012 issue of Vanity Fair and read Mark Bowden’s lengthy article on the Stephanie Lazarus case -- which I covered -- I was puzzled because it raised a lot of troubling questions. Bowden shuffled the sequence of what was actually said. Note the numbers of the transcript pages below. I am also compelled to set the record straight regarding multiple factual errors I noticed in the article. 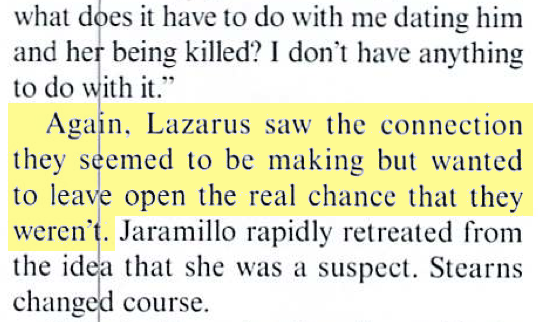 When Stephanie Lazarus left her desk to accompany Detective Jaramillo to the interview room in the jail, she did not bring her weapon with her. Sherri Rasmussen's sister, Teresa Lane, verified for me that at age 16, Sherri Rasmussen enrolled in a nursing program at Loma Linda University. Years later, she worked as a nurse at U.C.L.A. Medical Center. 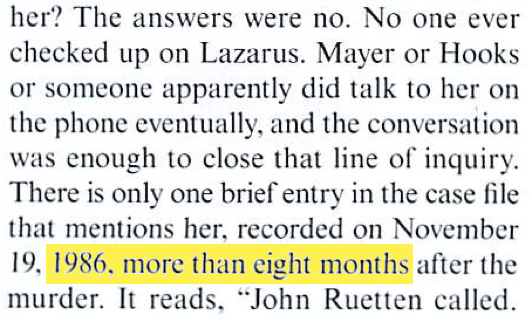 The sole mention of Stephanie Lazarus in the Rasmussen case file is a chrono entry on November 19th, 1987. This document was entered into evidence at trial. (Address and phone numbers have been redacted for privacy.) The first entry on that page, dated 11/18, notes the Rasmussen family is flying into Los Angeles on "11/23/87" for a press conference. The press conference was reported on in the Los Angeles Times on November 24th, 1987. 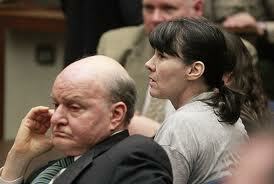 Sherri Rasmussen’s widower, John Ruetten testified on February 15th, 2012 and February 16th, 2012. 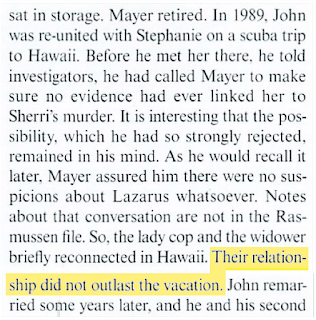 Ruetten said he reconnected with Lazarus in Hawaii in 1989. 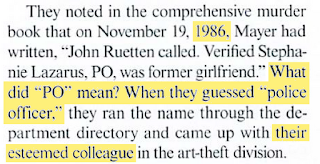 Ruetten testified that during the following year and a half, he and Stephanie were sexually intimate on two occasions. 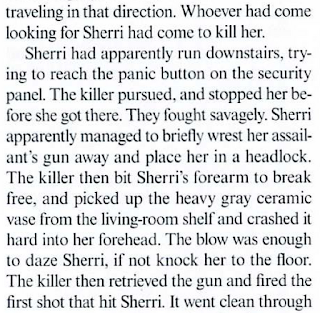 There was no evidence presented at trial that proved Lazarus came to Sherri's home that day with the specific intention to kill her. Former FBI profiler and crime scene analyst Mark Safarik testified for the prosecution on February 24, 2012, the 26th anniversary of the murder. I remember that was a very difficult day for the Rasmussen family. 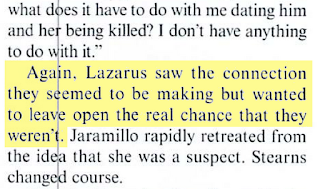 In Safarik's analysis of the case file -- the evidence, the crime scene photographs, and after visiting the scene of the crime -- he testified that it is impossible to know for certain the exact sequence of events that transpired when Sherri Rasmussen was killed. Van Nuys Homicide Detectives confirmed to me that John Ruetten informed them in 2009 that his former girlfriend Stephanie Lazarus was an LAPD officer. 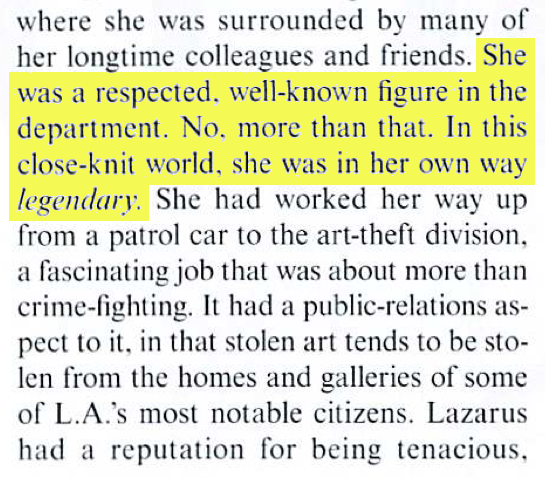 When the detectives ran Lazarus’ name through Groupwise, the LAPD's E-mail directory, they saw that she was still on the job and worked downtown in Commercial Crimes. Not a single member of the Van Nuys Homicide Unit recognized her name or in any way considered her an "esteemed colleague." Clip #7 from Vanity Fair, (above) has been updated to include a few more lines of text. 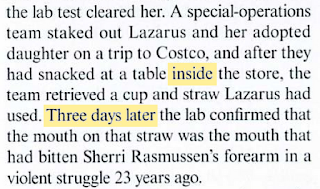 On February 9th, 2012, undercover Detective Roberto Morales, testified that Lazarus was sitting outside in the Costco food court when he observed her drinking from a cup with a lid and straw. After she threw the cup in the trash and walked away Morales retrieved the discarded cup. 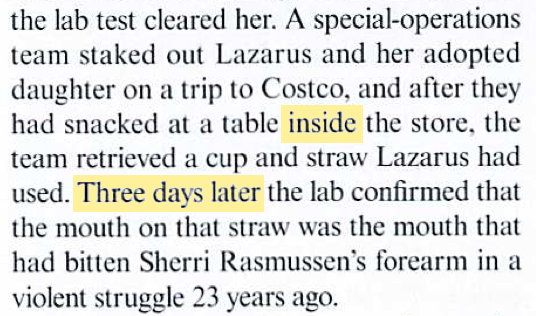 In Matthew McGough's article on the Lazarus investigation, published in the June 2011 issue of The Atlantic magazine, he reported that the cup and straw with Lazarus's DNA were collected on May 27th, 2009, and the crime lab completed its DNA analysis two days later on May 29th, 2009. On February 9th, 2012, Sergeant James Hensley confirmed on the witness stand that he delivered the cup and straw to the crime lab on May 27th, 2009. Later in the trial, Detective Greg Stearns testified that he was assigned the case on May 29th, 2009. This was the same day that the DNA results were confirmed. A special thank you to T&T reader and commenter "EvictObama" for drawing my attention to this additional factual error in Mark Bowden's Vanity Fair article. 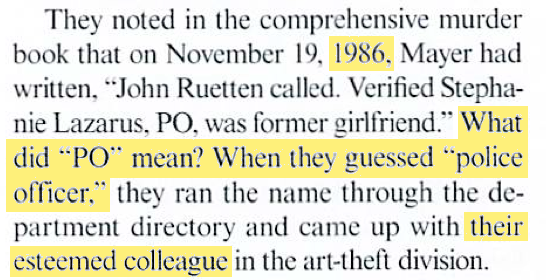 Bowden appears to be talking about the 1986 investigation, yet the "saliva swab" was not tested in 1986. 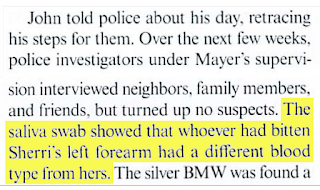 The "saliva swab" was not located until December 2004 after a search of the Los Angeles County Coroner's freezers. The swab was never tested for blood type. It was tested for DNA in February 2005. In a court hearing today that ended in a shouting match between Judge Jon Kerry Blackwood and Knox County DA Randy Nichols, Blackwood refused to recuse himself from the torture-murder case involving the 2007 deaths of Channon Christian and Christopher Newsom. Nichols filed the motion earlier in June, questioning Blackwood's impartiality. A fourth defendant, Vanessa Coleman, was also given a new trial and the state has not contested that decision. Early in the hearing, Blackwood said he would revisit his decision to grant new trials to Lemaricus Davidson and his brother Letalvis Cobbins. In these trials the state had DNA evidence linking the pair to the rapes of Channon Christian. Blackwood said he would not reconsider in the case of co-defendant George Thomas. There was no forensic evidence linking Thomas to the killings. Chris Newsom's parents, Hugh and Mary, said Judge Blackwood's actions Thursday prove that he should step down from the case. Lazarus now shows up in the California Department of Corrections & Rehabilitation's (CDCR) inmate locator as being currently at the Central California Women's Facility. Her CDCR number is WE4479. I will research to see if I can get a current intake photograph, but I make no promises on that. I just checked the Los Angeles County Sheriff's inmate information page. Lazarus is no longer listed as being in the LA Co. Sheriff's custody. 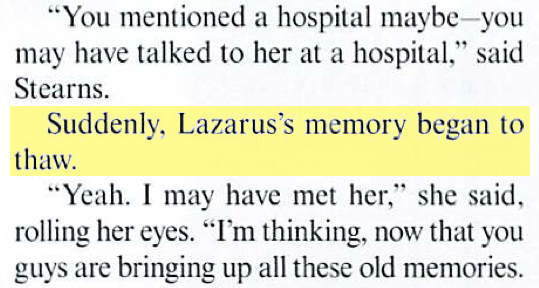 Lazarus is most likely on a bus to either a California prison intake facility or directly to her new digs. As soon as I find out where she will be permanently housed, I will let T&T readers know. The release date posted on the web site was yesterday, 8:05 AM, June 5th, 2012, exactly three years to the day of her arrest for Rasmussen's murder. Although I checked the web site all day and into the evening yesterday, the update on her status did not appear until today. Here is the California Department of Corrections & Rehabilitation's INMATE LOCATOR. Hopefully her current location will show up in a few days. I should have paid more attention to the Sheriff's web site. 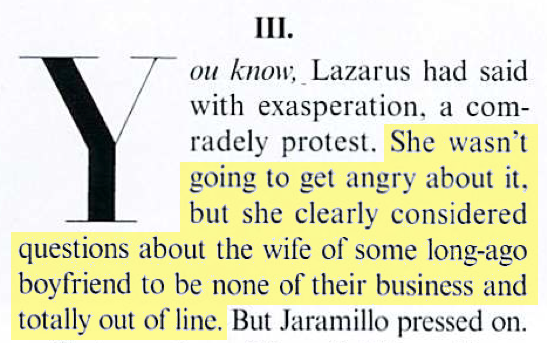 It states that Lazarus is being sent to "Central California Women's Facility". She could be going there for permanent residence or just for intake and transferred elsewhere. UPDATE JUNE 18th 2012: VIDEOS FROM THE ELECTION NIGHT PARTY! DDA's ALAN JACKSON and JACKIE LACEY SET FOR NOVEMBER RUNOFF! Los Angeles Dragnet Blog Election Article. It was a packed house for Alan Jackson's election night results party held at the Blue Cow Kitchen & Bar in downtown Los Angeles. I attended the event with my good friend, writer Matthew McGough. I had hoped to blog about the event live but the free WiFi I was told was available at the Blue Cow unfortunately did not work in the open patio area. After many attempts I finally put my laptop down and enjoyed the festivities rather than reporting on them. Many of Jackson's high-profile endorsements attended the event as well as Jackson's long-time friends in the LAPD and DA's office. Faces I immediately recognized were DDA Pat Dixon (co-prosecutor on the first Phil Spector trial) and LAPD Robbery Homicide Detective Rick Jackson. I was surprised but pleased to see defense attorney Steve Meister who faced off against Jackson in the James Fayed case. Also in attendance were DDA Paul Nunez (co-prosecutor on the Lazarus case) and Judge Ricardo (Ric) Ocampo (former DDA who worked with Jackson on the Miura case). His Honor Ocampo and Paul Nunez have both known Jackson from their days working in the District Attorney's Compton office, prosecuting gang cases. I was surprised and honored that Judge Ocampo remembered me from my Miura reporting. For most of the evening, Matthew and I got to talk shop with Detective Rick Jackson. Some of the best conversation of the evening was from Montebello Police Chief Kevin McClure. McClure was Captain of LAPD's eliete Robbery Homicide Unit when Stephanie Lazarus was arrested three years ago. I would love to tell all of you some of the interesting stories Chief McClure shared with me and Matthew but he made it clear that everything he said last night was strictly off the record. On another note, the July issue of Vanity Fair with famed writer Mark Bowden's article on the Lazarus case has hit the news stands. T&T will have a commentary review of the article in the near future. It's going to be an interesting race in the upcoming months. It's my impression that Lacey took the lead in the primary because of her endorsements from the Los Angeles Times and local KFI radio hosts John & Ken. However, I wouldn't call Lacey's first place finish in the primary a sure bet in November just yet. Let's see how the battle plays out. I'll end this piece with one of my favorite images captured of Jackson at the first Phil Spector trial back in 2007. “We see tonight as a huge victory. 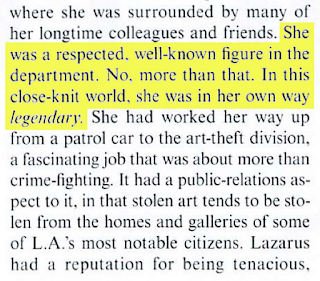 The Jackson campaign took on Carmen Trutanich and saved the people of Los Angeles County from a politician who was more concerned about winning the next office instead of winning the next case. We were outraised, outspent and outsized by the City Attorney, yet we prevailed because voters clearly want a modern prosecutor not a politician. We look forward to November where voters will once again have a choice to elect a modern prosecutor to lead the District Attorney’s office." I took these videos on my old camera. There wasn't adequate lighting. Special Judge Sought To Block Public Scrutiny in Christian-Newsom Case! Knoxville News-Sentinel reporter Jamie Satterfield writes: "Special Judge Jon Kerry Blackwood removed motions from a court file, ordered prosecutors to make no public mention of them, used email communication in lieu of orders and hearings and favored meetings in chambers over public hearings-all to avoid public scrutiny of his handling of the Christian-Newsom torture-slaying cases, documents show." In a brief interview on Knoxville's NBC affiliate, Christopher Newsom's parents called for Judge Blackwood to step down. Meanwhile, the defendants are seeking U.S. Supreme Court review of Tennessee's high court ruling should Blackwood either deny new trials or the state appeal Blackwood's anticipated ruling granting new trials, according to a motion also filed late last week. In that motion, the defendants are asking for a delay in new trials should the state appeal. Still more twists and turns in the Christian-Newsom case. At noon today, Knoxville time, Special Judge Jon Kerry Blackwood, again ordered new trials for all four defendants in the Christian-Newsom torture-murder case. 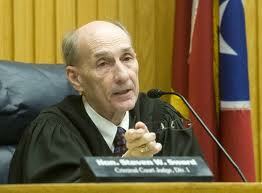 Knox County Deputy District Attorney General Leland Price has asked for Blackwood to step down from the case. He accuses the judge of judicial misconduct. Price wrote: "The willful failure of this court to follow the Tennessee Supreme Court's guidance indicates this court has lost all semblance of fairness and impartiality. The court's clearly stated and predetermined position is that new trials will be granted regardless of any law, evidence or argument to the contrary." Blackwood did not hold a hearing and ignored the recent ruling by the Tennessee State Supreme Court faulting his opinion. Blackwood gave all four defendants new trials in December. He cited the misconduct of former Judge Richard Baumgartner, who presided over the original trials, as causing structural error, and Baumgartner's supposed inability to play the role of "13th juror." Blackwood says he cannot perform that role. Baumgartner resigned the bench after the Tennessee Bureau of Investigation revealed he was doctor shopping, buying pills from a probationer in his own court, and using his mistress who was also in his court to buy more pills. The Tennessee Attorney General appealed three of those cases, while acknowledging the need for a new trial for Vanessa Coleman. The Tennessee Supreme Court ruled in May that actual proof of structural error must be shown before new trials can be granted. The state Supreme Court held that witness credibility must be addressed. If Blackwood decided he could not judge witness credibility from transcripts, he can grant new trials. According to Price, Blackwood did not hold a hearing or allow the state to argue the importance of witness credibility. Blackwood also supposedly hears from one side but not from the other. Price cited an email in which Blackwood writes about hearing "little birdies who put thoughts in my head." Price concluded: "It is difficult for any reasonable person to believe the state is receiving a fair hearing before an impartial judge when the judge is listening to 'little birdies' and 'rumors' at the same time." 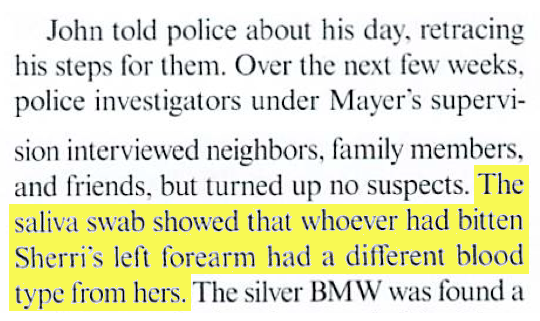 This is a continuing series on Mark Bowden's July 2012 Vanity Fair article on the Stephanie Lazarus case, "A Case So Cold It Was Blue." Sprocket. Part I documents the factual errors I found in Mr. Bowden's article. 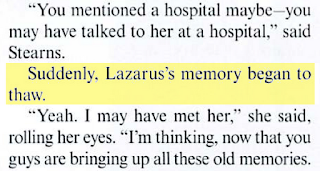 Part II documents the subjective errors I found in Mr. Bowden's article, including his unsupported description of Lazarus as a "legendary" detective. Part III lists the people that Mr. Bowden did not interview for his article and questions what interviews he based his article on. Part IV notes that Vanity Fair has corrected some errors in its online version of Bowden's article, but has not yet run a print correction. Part V describes the Poynter story about T&T's series on Mr. Bowden's article. It also notes that Vanity Fair has corrected additional errors online, but still no print correction. Part V also documents Vanity Fair's visits to T&T. Part VI recounts my emails to Cullen Murphy, Mr. Bowden's editor at Vanity Fair. Mr. Murphy declined to defend Mr. Bowden's article on the record. 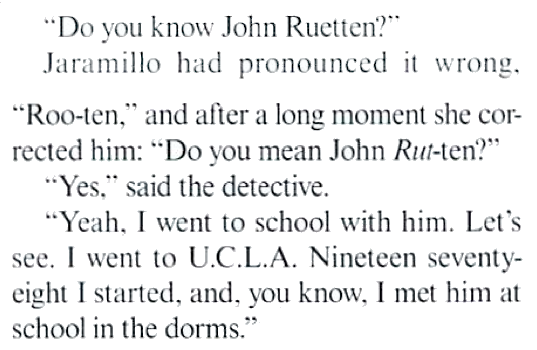 Part VII recounts my emails to Mr. Bowden, as well as meeting him in person at Vroman's Bookstore in Pasadena, CA. Part VIII details my emails to Beth Kseniak, Vanity Fair's Executive Director of Public Relations, and questions for Graydon Carter, Vanity Fair's editor in chief. With the June 5th, 2012 vote less than a week away, many watching the politics of this race are saying "ABC: ....Anyone But Carmen (Trutanich)". I tend to agree with that statement. Joe Friday at Los Angeles Dragnet has been closely keeping his eye on all the candidates, especially Trutanich. Joe Friday has documented Trutanich's failed campaign promises as well as other questionable tactics. In his latest entry, he appeared on local Fox Ch. 11 to speak to the lies that Joe Friday states Trutanich has fed the public. This past Tuesday, KPCC hosted a debate between five of the six candidates vying for the largest prosecutor's office in the nation. You can watch a video of the debate here. Expectedly, Trutanich declined to attend. 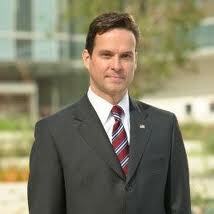 Trials and Tribulations endorses DDA Alan Jackson for the next Los Angeles County District Attorney. I personally know Jackson, his character and his dedication to victims of crime and public safety. DDA Jackson is endorsed by more law enforcement agencies than any other candidate as well as several government leaders. DDA Jackie Lacey is endorsed by the current District Attorney, Steve Cooley, National Women's Political Caucus and local radio station KFI 640's "John & Ken". City Attorney Carmen Trutanich is endorsed by Governor Jerry Brown and LA Co. Sheriff Leroy D. Baca. DDA Danette Meyers is endorsed by former DA Gil Garcetti, several Democratic organizations and the Association of Deputy District Attorneys (ADDA). If no single candidate gets over 50% of the vote on June 5th, there will be a run-off election in November 2012. Los Angeles Times Article on the candidates. State-wide Police groups endorse Jackson & Lacey. Local ABC Ch. 7 Report. Local NBC Ch. 4 Report. Labels: Alan Jackson, Joe Friday, LA County DA Race, LA Dragnet, LA Times, Misc.